Rutt Video produced the video wall behind Garth Brooks when he performed live in Times Square. The performance, for the annual Country Music Awards broadcast on CBS, was a tribute to his friend Chris LeDoux who had recently passed away after battling a rare form of cancer. A thirty foot high LED video wall was constructed in the shape of an urban skyline. The video for the wall was placed on a backdrop of a New York office building, created from photos shot out of the Rutt Video edit room windows. The Rutt Video Time Square segment was switched live into the awards program originating from Madison Square Garden, and then broadcast over the CBS Network where it was viewed by over thirty million people. 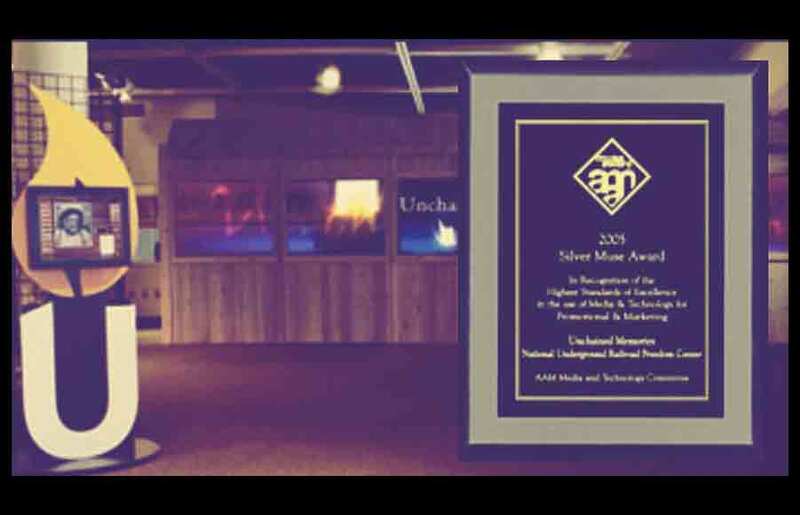 This seven screen 32 foot wide video wall introduces visitors to a traveling exhibition organized by The National Underground Railroad Freedom Center in Cincinnati, Ohio. Starting it’s journey in Ft. Lauderdale, Florida it has been on exhibit in numerous cities and has received the American Association of Museum’s 2005 Silver MUSE Award. 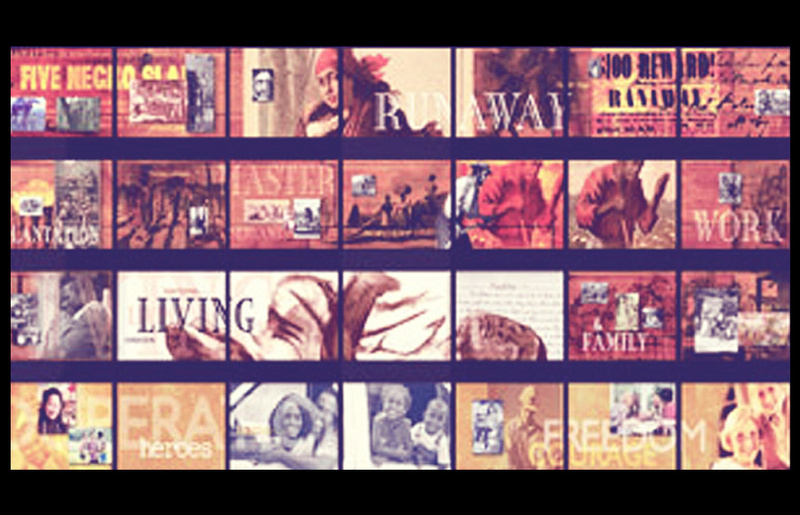 The Everyday Freedom Heroes exhibit at the National Underground Railroad Freedom Center in Cincinnati, Ohio celebrates people from all walks of life who’s extraordinary choices at key moments paralleled the courageous actions taken by participants on the Underground Railroad. This exhibit, at the American Bar Association's Museum of Law in Chicago, presents the visitor with the same situations that were faced by five United States Presidents. It then asks what decision they would have made themselves, had they been President at that time. Visitors are then shown a pie chart that breaks out the percentage of visitors who agreed with the Presidents decision and the percentage of visitors who opposed it. 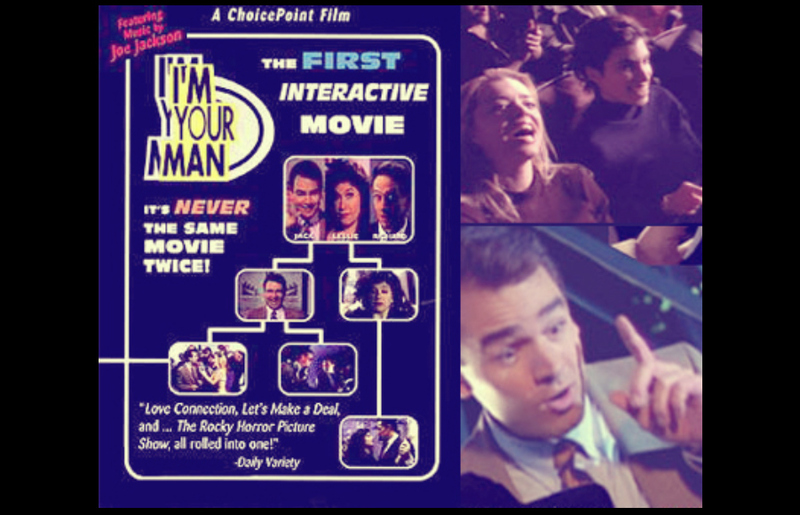 Rutt Video edited the worlds first interactive theatrical motion picture, produced by Interfile and released in 42 Lowes theaters between 1993 and 1995. These theaters were specially equipped with custom designed pistol grips at each seat, each of these has three buttons allowing the viewer to control the content of the film. 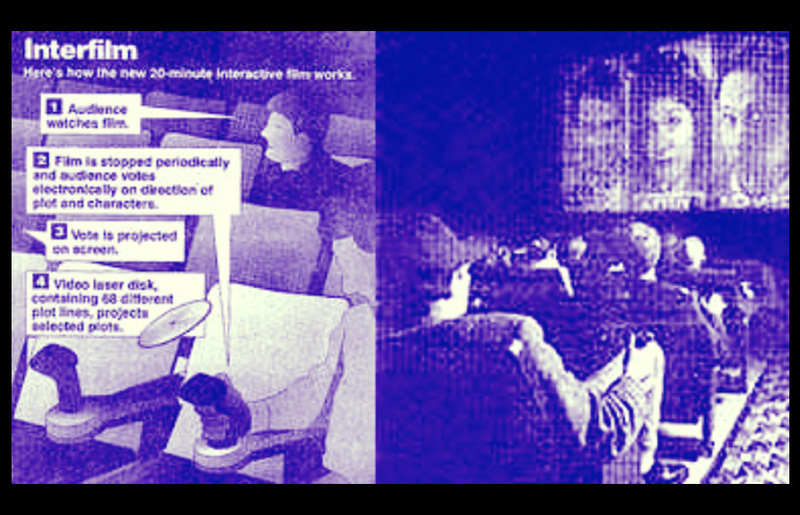 During specific points in the film, onscreen icons, accompanies by the illuminated buttons in the postal grip, would prompt the viewer to make a choice between three scenarios. Majority rule controlled the plot, and no two movies ever played exactly the same. This didn’t have quite the same impact on Hollywood as the invention of talking pictures, but it was the first! The visitor steps in front of the display, looks at themselves on the screen, and taps the Take Picture button to capture their image. They are then presented with an array of disguises they can try on to hide their identity. When they are satisfied that not even their mother would recognize them they press a button and an ID card is printed out with their new name and disguised photo. While initially used in trade shows, it may also find applications in museums allowing children to become anything from cave dwellers to astronauts. It can print out in a multitude of formats and send content as email and to web pages. Rutt Video creates innovative interactive designs to attract attendees to your exhibit and keep them there while delivering your message. Eye-catching graphics will be the ones everyone takes note of, and the ones they remember when they are back at their office. We get interactive, and it shows! Working with the Library of Congress in Washington, D.C., Rutt Video & Interactive produced the exhibit Born in Slavery: Slave Narratives from the Federal Writers’ Project. This exhibit contains more than 2,300 first-person accounts of slavery, over 500 photographs and three audio recordings of former slaves. These narratives were collected in the 1930s as part of the Federal Writers’ Project of the Works Progress Administration (WPA). They were microfilmed in 1941 and assembled as the seventeen-volume Slave Narratives: A Folk History of Slavery in the United States from Interviews with Former Slaves. This entire body of work, over 10,000 documents, is made available in this exhibit that includes a searchable database of the complete text of all of the narratives. 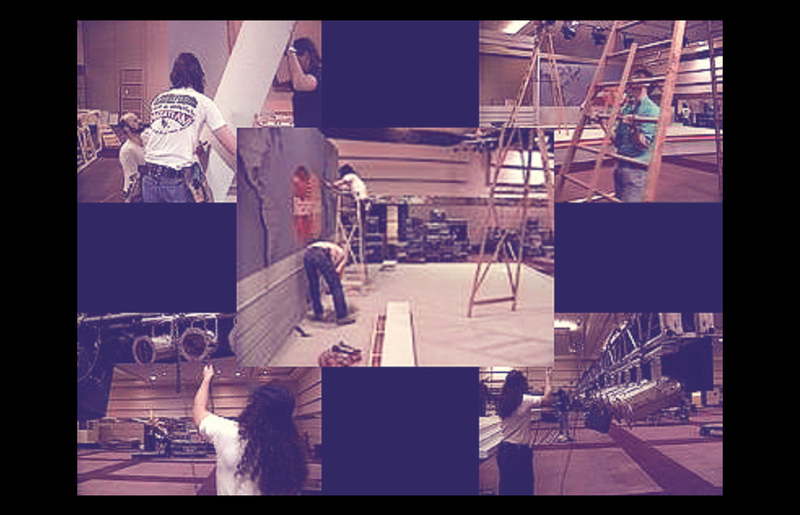 Rutt Video created the background images for the MTV Video Music Awards. This included multiple animations programmed to run on LED displays that were used as design elements throughout the set. 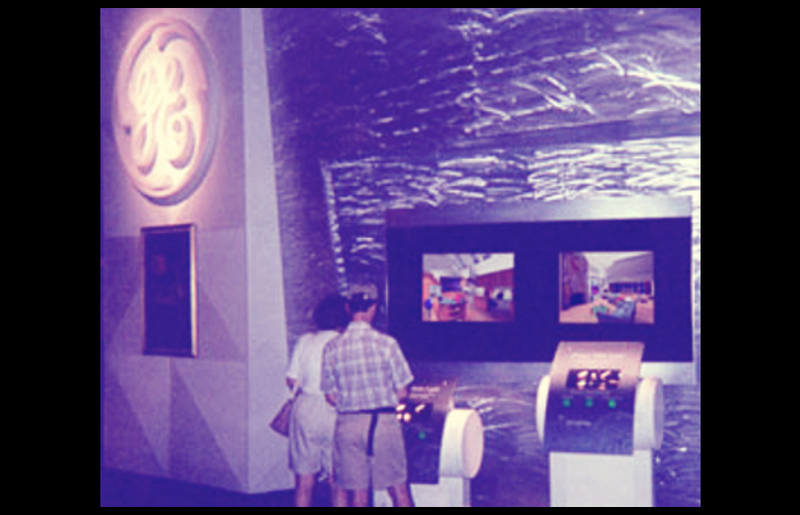 These interactive kiosks, at the General Electric Visitors Center at Epcot, encouraged people to observe and interactive with the latest advances in residential lighting. By adjusting the brightness of different types of lighting, visitors can create effects for any mood in any room of the house. Using the Lightscape Rendering Engine, with Radiosity and Path-Trace lighting algorithms, Rutt Video created visual representations for specific lamps and fixtures to show the way they are used in the overall lighting design of a modern home. J. Walter Thompson, the world’s oldest advertising agency, wanted an exhibit on the history of advertising. It was to consist of twelve old style television sets showing an array of vintage commercials, interspersed with contemporary commentary on the world of advertising. As the televisions they planned to use were in varying state of disrepair, we need dot find a reliable solution to deliver quality images on the twelve screens. To accomplish this we used three flat screen displays positioned behind the television set facade. 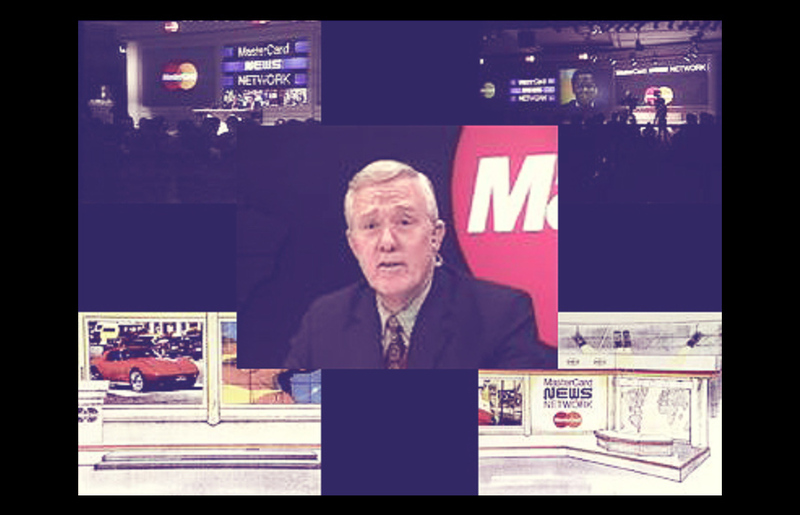 Then, using our Flame graphic system, we produced a composite program for each flat screen that positioned the twelve synchronized video programs exactly behind their respective television faceplates. 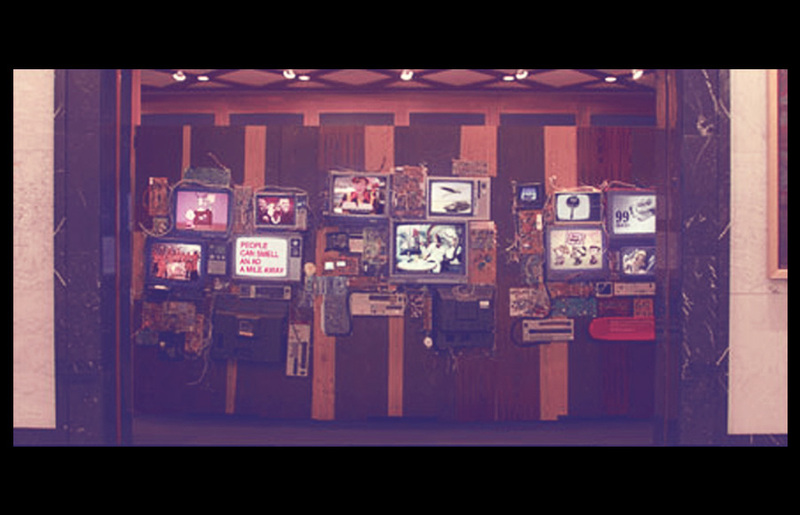 The exhibit is shown here at The Museum of Television and Radio in New York city. This program does not have sound as it ran continuously in the reception area of a sales office. 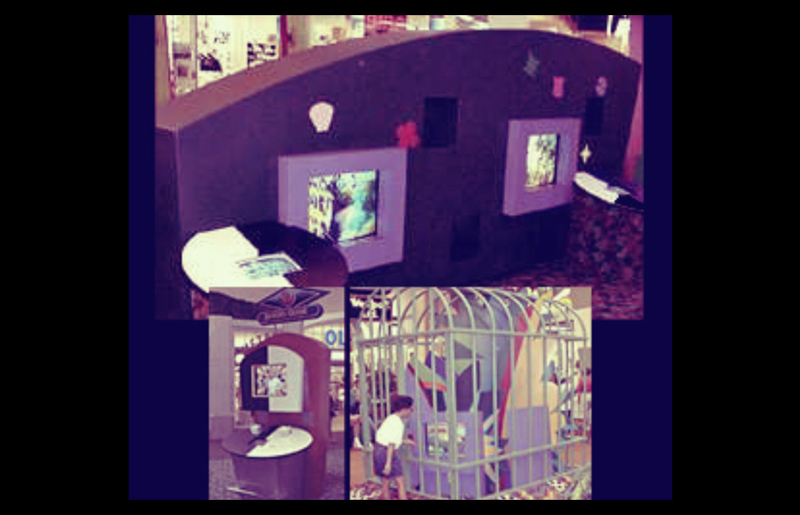 We create innovative interactive designs to attract attendees to your exhibit and keep them there while delivering your message. Our eye-catching graphics will be the ones everyone takes not of, and the ones they remember when they are back at their office. We get interactive, and it shows! Produced for Virtua Health, one of the nations leading multi-hospital health care facilities, this video wall is made of three 16x9 plasma screens for a total width of over twelve feet. 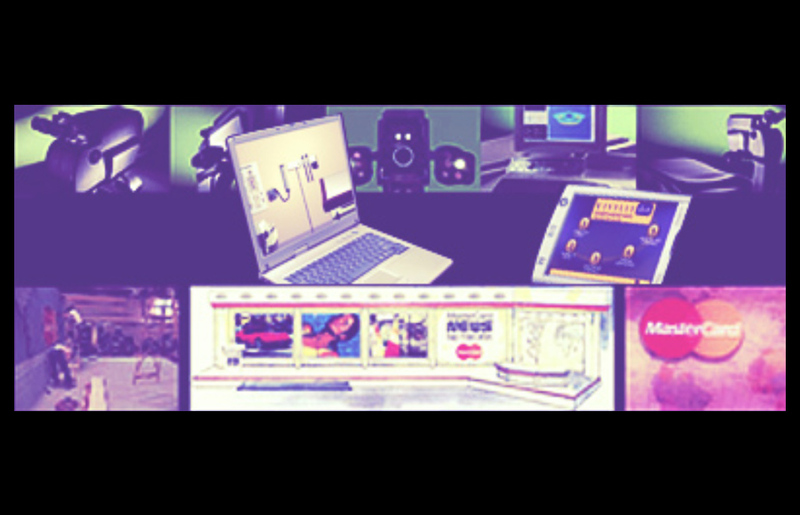 Shown here is an example of our grand format production capability for trade shows, promotional events and retail displays. The program was displayed on five high definition plasma panels.